As a special festive treat for both our readers a Christmas edition of the Life On Cars magazine to choose the car of the year is finally ready! 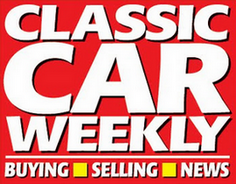 This bumper 20-page edition not only looks back at some of the best new cars, but memorable events, roads and shows from across the north west and further afield. Car and bike nuts are already looking forward to a great 2012, and Life On Cars is looking forward to reflecting that, but if you just can’t wait until then put your Christmas turkey down and take a look back at some of the motoring highlights of 2011.